When you click the generated link, the link is copied to the clipboard. Once generated, the link can be used for a week without any limit. 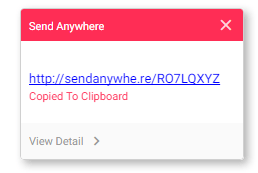 To check the link again, run the Send Anywhere Chrome extension.